Hoffenheim have made Julian Nagelsmann the youngest manager in Bundesliga history after appointing the 28-year-old as their new manager. The under-19s coach succeeds Huub Stevens, 62, who resigned on Wednesday because of ill health. 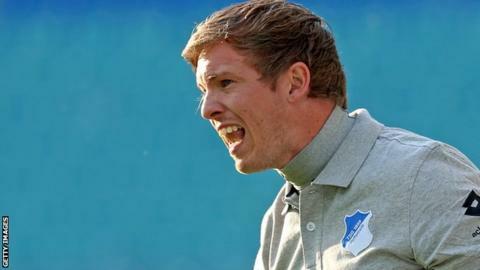 Nagelsmann was due to take charge next season but will now manage the league strugglers with immediate effect following "intensive talks". He has signed a three-year deal with the club through to June 2019. Hoffenheim are currently five points off the relegation play-off place and seven points from safety.